We are Eat,Sleep,Ride,CIC. A diverse, educational and friendly Riding School and Trekking centre nestled on the East Coast of the beautiful Scottish Borders. We are a not for profit establishment and support mental health, disability and employment services. We cater for any age and ability, whether it be a chance to see the stunning views on horseback with rides as long as 4hrs for the more experienced riders or lessons in one of our fabulous arenas. 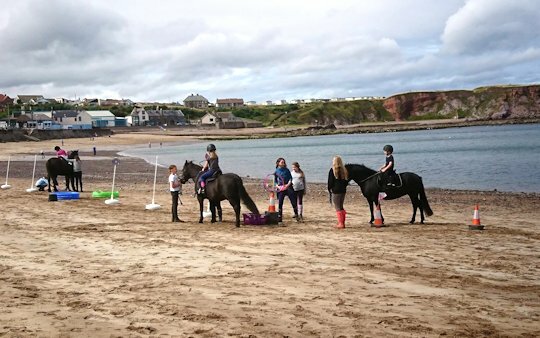 We also do pony days, stable management and ground work lessons and can take horses to the beach or further afield if required. Our services are tailor made and we want to provide you with an all round experience whether your on holiday or a regular customer. We also provide exam training up to Stage 4 and have approvals if you are looking to do an SVQ in horse management. There is also available livery ,breaking and sales services . We pride ourselves on our beautiful horses who can turn a hoof to most things, lessons are fun and work on balance and trust. 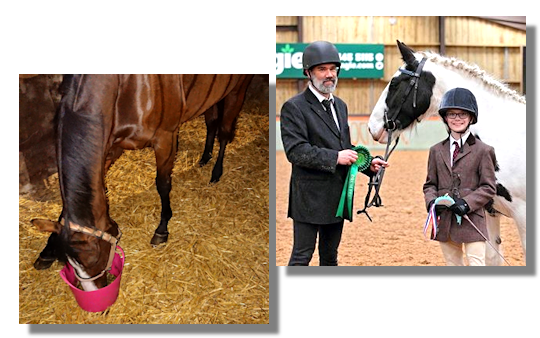 We endeavour to allow our clients to take part in horse activities normally reserved for horse owners.